Damanhur was founded by Oberto Airaudi (1950 -) in 1975. It is ” the largest communal group in the ancient wisdom-magical tradition.” It may well be the largest spiritual communal group in the world. Airaudi and his supporters bought property in the Italian Alps, in a region of Piedmont less than 30 miles north of the city of Turin. Two dozen pioneers organized the initial settlement. It was named Damanhur after an Egyptian city, located 100 miles ” northwest of Cairo in the middle of the western Delta. 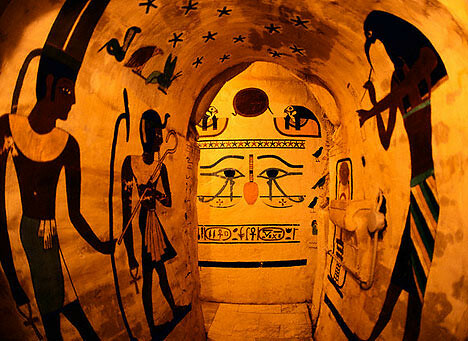 It was once the site of the city of Tmn-Hor, dedicated to Horus.” The group grew to include 200 “citizens” in 1985, 450 by 1998, and exceeded 800 in 2000. In addition, there are hundreds of associated members who donate to the community and attend some of its functions. Member satisfaction appears to be high; very few citizens leave the community. 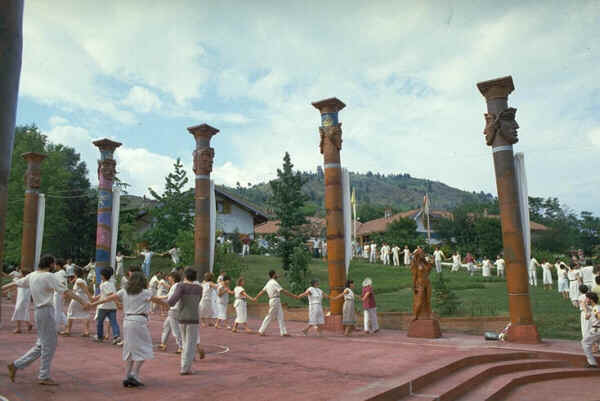 Damanhur is a unique spiritual and religious group whose beliefs are derived from several ancient sources: Celtic Paganism, Celtic Christianity, Egyptian and Greek Pagan religion. 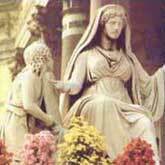 Influences from Gnosticism , the New Age and Theosophy are also present. They believe in an extensive pantheon of supernatural beings, consisting of: a single, unknowable God, Intermediate or Primeval Deities of which nine are self-generated. The remainder have been created by humanity, Entities , including angels, demons and nature spirits. The first human was a Primeval Deity who suffered a fall and merged with a human body. One of the goals of Damanhur is to help individuals return to what they call the original “subtler” pre-fall state. 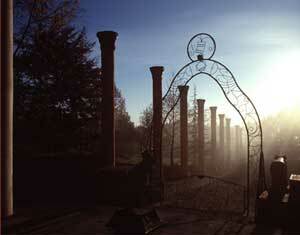 They believe that three “Mother worlds” were initially created; one each for humans, plants and nature spirits. They have developed techniques that allow individuals to contact what they call the “race minds” of humanity and of animals. Members of the community live in homes. Each contains about ten to 15 people — adult citizens with their children. Although their eventual goal is self-sufficiency, many citizens hold jobs outside of the community. Many married couples have joined Damanhur and live communally with other couples. Single individuals have also joined the community. Many have entered into one, two or three year provisional marriages. Most of the latter are renewed at the end of their term. The result is a form of serial monogamy for some members, that is not unlike the lifestyle seen elsewhere in industrialized countries. Citizens abandon the use of their family names and adopt two new names when they join the community. The first is the name of an animal species, the second is of a plant. The community has a “programmed births” project which attempts to time the arrival of children to meet astrological and economic criteria. They use magic and alchemy practices to promote a return to humanity’s pre-fall state. Unique to Damanhur is “selfic” science — the study of spiral-like forms. The use of tobacco and illegal drugs is prohibited within the community. The most important activity of the community is the construction of its underground temple. They are organized as a federation of separate communities, with their own constitution, schools, flag, calendar, and daily newspaper. They own “woods, farms, and over 70 buildings including private homes, laboratories, farms, schools, art and crafts studios and semi-industrial units. Citizens can decide for themselves how they will work and contribute to the communal economy. On a voluntary basis, each citizen is encouraged to offer a few hours of work each month to take care of the common facilities such as the gardens, the theatre, the woods and…the continuing creation of the [Underground] Temple.” They maintain their own currency, the Credito, which is tied to the Italian Lira. Their publishing arm is called Edizioni Horus. (Horus is a male deity within the ancient Egyptian religion; he has the face of a hawk). They have produced over 150 titles. They run many businesses, including web design, health food, china, jewelry, paintings, etc. They have built an Open Temple in Damyl, which is accessible by the public. It contains statues of Greek and Egyptian gods and goddesses. Nearby is an open area which contains symbols from various religious traditions. They expect that Damanhur will expand in a controlled manner. There is a waiting list of individuals who would like to become citizens. There are no plans to transform Damanhur into a geographically dispersed movement. They expect to limit growth to within the province of Turin. Although they spread their beliefs through their publishing business, they do not actively proselytize. “The Italian authorities in charge of the preservation of the works of art…declared it a protected ‘collective artistic work.’ For the outside visitor, it is a breathtaking experience, offering -room after room – amazing and unexpected discoveries…There are literally miles of corridors, and thousands of statues, windows and paintings” in the temple. Founded in 1975, the Federation of Damanhur is an eco-society: a federation of communities and eco-villages with their own social and political structure in continual evolution.The Federation of Damanhur is a centre for spiritual, artistic and social research known throughout the whole world. The Federation of Damanhur is comprised of communities, with about 20 people living in each of them. Around 400 supporters live in the surrounding valleys and regularly participate in the activities of Damanhur. Community life encourages the creation of a social model based upon solidarity — a strong expression of which is voluntary work — with respect for others and the environment and the sharing of ethical and spiritual values.